Thanks to its compact design, the 32-channel MCXD desk station by Green-GO can be easily integrated into any stationary workstation. 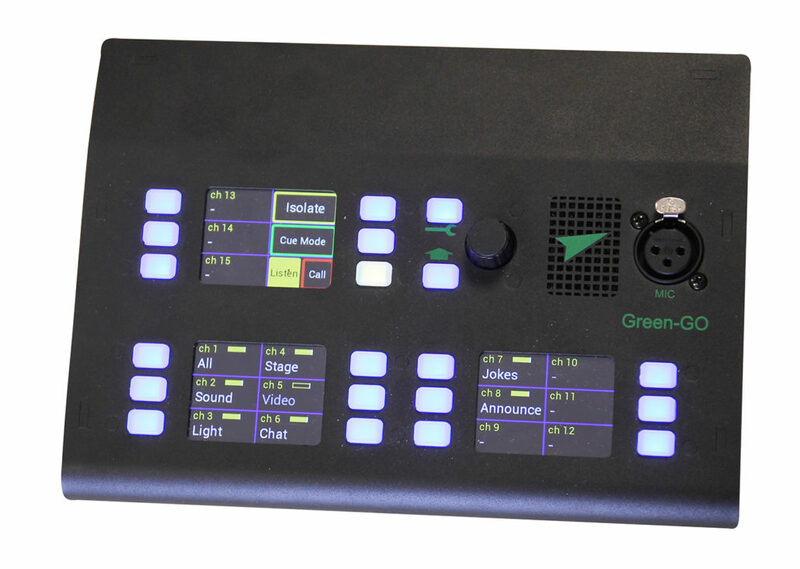 It offers the user direct access to up to 18 channels or functions. Access to up to 32 channels and four functions can be extended via a second level. Three high-contrast colour touch screens and 20 backlit buttons allow the user a compact and precise operation for voice, call or light signals. The wide range of connections offers a multitude of possibilities. The user can communicate either via the built-in 2 Watt loudspeaker and an external microphone, or via headset. It is also possible to operate an external loudspeaker via the line-out connection in particularly noisy environments. External audio signals can easily be made available to all Green-GO participants via the line-in connection via groups for e.g. a program tone. The GPIO connection allows external access to all functions of the Green-GO Engine (light and call signs as well as speech) via two inputs and two outputs each. 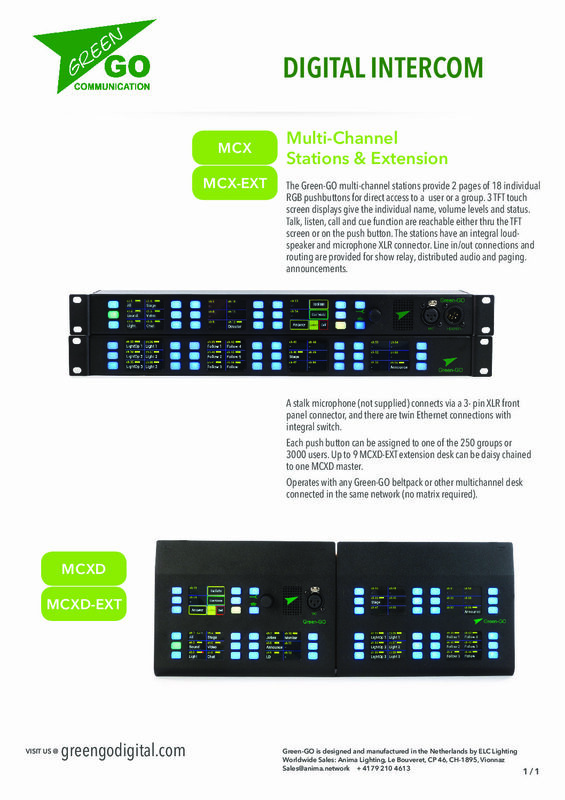 The Green-GO MCXD desk station can be equipped with up to nine Green-GO MCXDEXT 24-channel extensions for particularly large and complex systems, to allow access to up to 248 channels. Each extension offers direct access to 24 additional channels.